Amid the many student-led protests that took place across the country on Sunday, a group of young people in Wisconsin began a 50-mile march to House Speaker Paul Ryan’s hometown to demand action on gun reform from a politician who has made a sickening career out doing absolutely nothing in the face of a growing body count. The Washington Post reports that this weekend, on the 53rd anniversary of Martin Luther King Jr’s Selma March, more than 40 students began their four-day journey from Madison to Janesville, where they will hold a rally “directed at Paul Ryan for his lead role in blocking and burying any chance of gun reform again and again,” per their website. 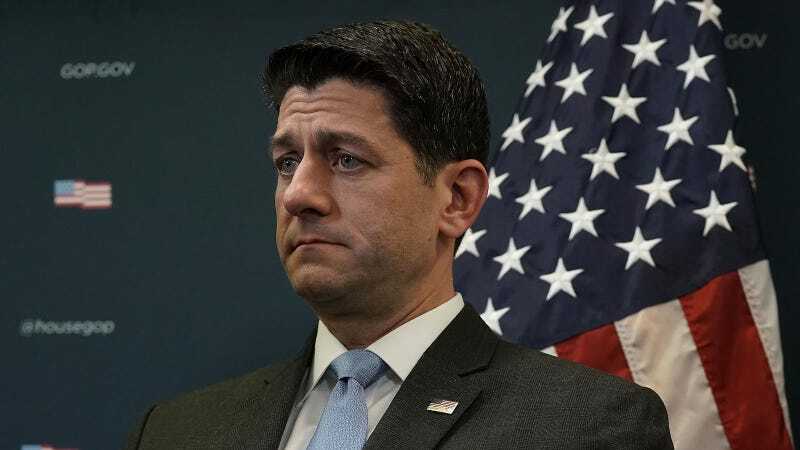 “I think we have a unique opportunity because the speaker of the House is the most important member of the House, and he’s from Wisconsin,” one of the 50 Miles More March’s organizers, 17-year-old Brendan Fardella, told CNN, explaining that the march was “a unique way to catch his attention and call him out” for evading gun reform measures. Students at Shorewood High School organized the march in solidarity with the student activists from Marjory Stoneman Douglas High School, and soon attracted students from other schools in the state. The group’s policy demands include banning military-style weapons and bump stocks, implementing universal background checks, increasing the minimum purchasing age to 21, and instituting a mandatory four-day waiting period on gun purchases. Eighteen-year-old Katie Eder, another organizer of the 50 Miles More March, told the Post that the group wanted to keep gun reform at the forefront of the news and local politicians beyond Sunday. “We’re picking up where so many marches left off,” she said.